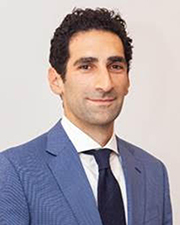 NEW YORK, NY According to Megalith Capital Management, a leading real estate owner and developer, Matthew Lobron has joined the firm as senior vice president of development. He will be responsible for overseeing all major residential and commercial ground-up development activities for the company. In his career, he has worked on projects totaling in excess of 3 million s/f that have achieved a gross sellout of over $5 billion. “Matt’s experience with top tier New York City development projects will be a valuable asset to Megalith as we move forward in the coming years. We are thrilled to have him join the Megalith team,” said Sam Sidhu, CEO and founder of Megalith. Prior to joining Megalith, Lobront was at Zeckendorf Development where he oversaw the development of 50 United Nations Plaza and 520 Park Ave. He also previously worked at Extell Development on major projects including Riverside South and Carlton House, among other large projects. He started his career in the Project Finance Group at Sumitomo Mitsui Banking Corp.
Lobron holds a BS in Business Administration from Georgetown University, and an MBA from NYU’s Stern School of Business.